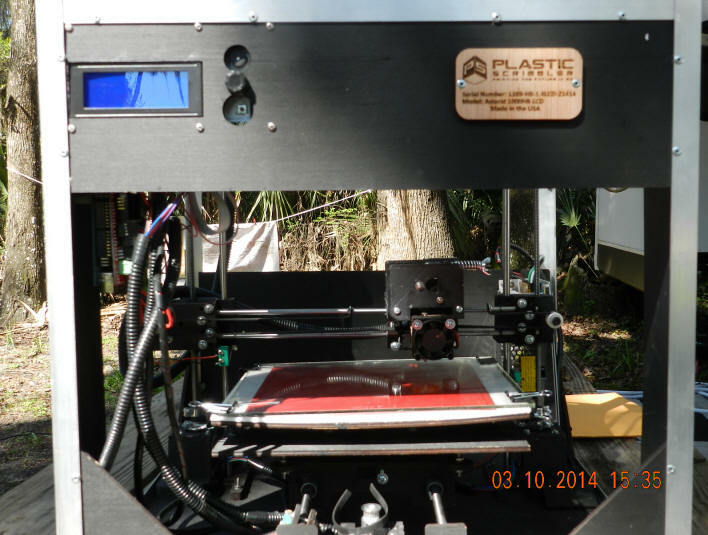 3D Printing Applied Fishing Tackle? This is an ongoing work in progress. You'll see rough notes and a layout far from completed. You will see the steps along the way. Proof reads and rewrites will happen. You'll see the good, the bad and the ugly before this work is close to acceptable. Projected completion date is 2015 when new products are revealed. All the trials and tribulations will be shared with you This article will receive periodic updates when major goals like the first prints are accomplished. It's gonna be challenging and fun to conquer, or at least become good enough to do and design successful builds. There's planned videos and many more photos to come thru-out 2014! Reason for getting into 3D printing is to make my own prototype fishing tackle in house before investing the price of a new truck into tooling. It's not a stretch to say it costs about 50 grand to come out with a new piece of tackle. For that kind of money, there must be no doubt the new product must be thoroughly tested. Then tested again, again, and again. I must be triple convinced, what's new is the ultimate finest that can be made on this planet. Tackle is all computer made nowadays and that requires a CAD file in various formats for the CNC machine to make tooling. 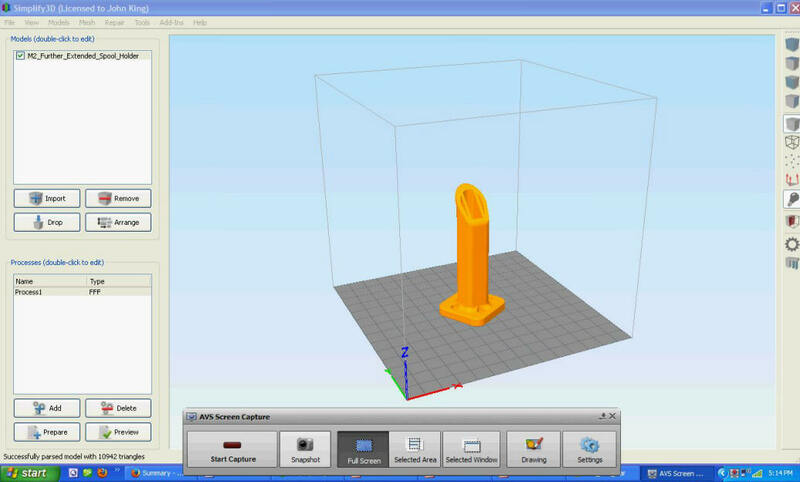 CAD (computer assisted design) files can be reformatted to .stl files 3D printers can use. Then, .stl files are transposed into G code. Know this sounds complicated and it is, but this process is all done automatically within the printer's software. Began manufacturing fishing tackle in 2004 and have successfully made bullet heads, 2 models of bait heads, and flashers in 10 and 12 inch sizes. 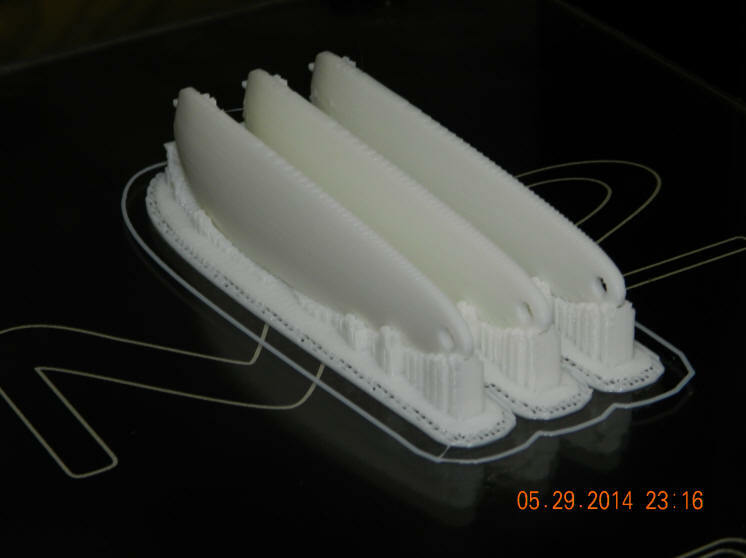 Before tooling SLA's (stereolithography) for rapid prototyping for "on the water testing" were used. I learned quick how expensive SLAs ordered from outfits specializing in this technology. Burned thru the best part of year and $3,000 in meat head design for plastic throw away parts. Well before there was a design I was happy with. You can't shortchange yourself in the design phase. End result is my tackle catches fish and is indestructible. If you purchased a meat head for me in 2005, unless a fish chewed it off? ...your head is still catching fish! No brag, ...just fact!! 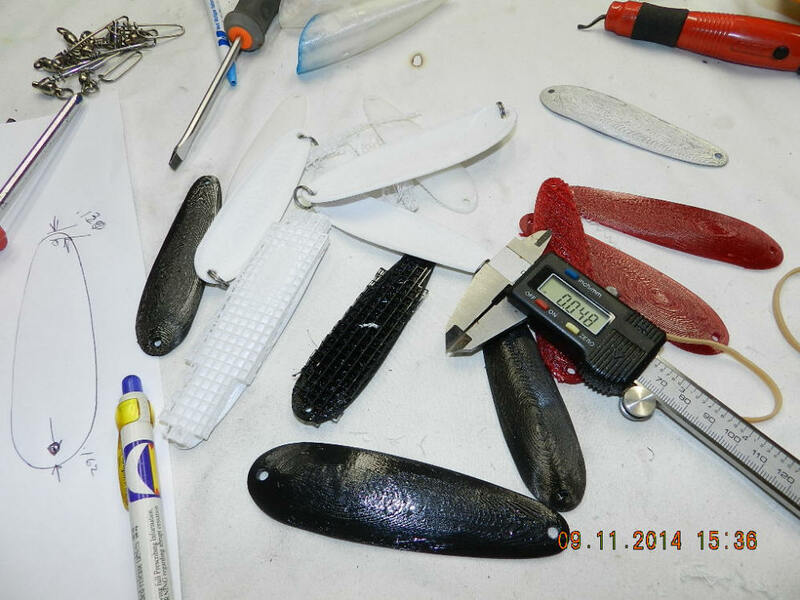 By now, I'm sure you see the merit of 3D printing when applied to in-house tackle design. I can build several prototypes in a day, then sort the wheat from the chaff. Thus, ensuring I've made the best possible product made in the USA, or in the world for that matter. Started fishing for Salmon in 1968 at the penning of this article 2014, making 46 years (20 years as a charter skipper) seeing tackle in the first person, standing on a boat catch fish. My credentials speak for themselves, as does my tackle! Everything here is from a rookie's viewpoint. I have zero experience. So, failures will be regarded as learning ways not to do it. Topic headings will be shifted as this work shapes up. during shipping. Frame made out of aluminum with wood (luan) bracing and pop rivets. Not very robust. Seen issues of not holding tolerances needed to make high quality builds. Lost a 100 bucks in shipping costs. Wasted 2 months in mistaken hopes this would be a learner machine, before I dumped bigger bucks into a more expensive machine. One $30 spool of filament can make about full sized 400 chess pieces. 32 pieces are in each set making 12.5 complete chess sets. Making the end cost of $2.50 per complete set less the board necessary to play the game. Granted it going to take a good amount of time and parts to recuperate the money spent on a 2 to 3k 3D printer, but the potential is there. The convience factor of not having to chase all over hell's half acre for items/parts/pieces and the sense of accomplishment will soften the investment costs. There is a price break point if you develop the skill sets required to run the darn thing, then use it enough. 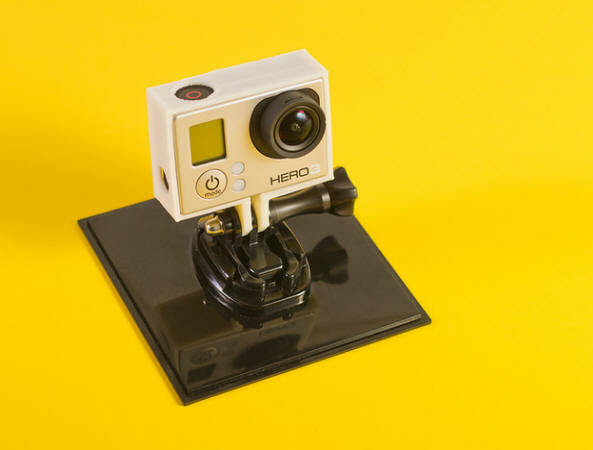 Discovered there's a world full of inventors willing to share their printable products for free. Many of are customs designs made to fit existing products manufacturers chose not to make for proprietary reasons. My 1st build will be for a custom extended filament spool holder for my printer that cannot be bought, only made. This spool holder bolts to the side of the printer with a longer spool axel that accommodate many different brands, types and colors not offered by the company that made my printing machine. Next will be unique pistol grip for my Sony action cams used aboard my boat. I foresee this pistol grip shoot on a flatter plane, rather than tilted angles. This handle, while large, printer settings on the infill will make the print job go faster and save unneeded filament. This is a complex build where supports are going to be required. You'll see these breakaway supports when the pistol grip is done. By the way, this grip is not offered by Sony, or anyone else for that matter. In building these test products by skill level should be ready for printing several types and kinds of tackle prototypes I have in mind for 2015. This is the main goal behind the incentive to purchase a printing machine in the first place.